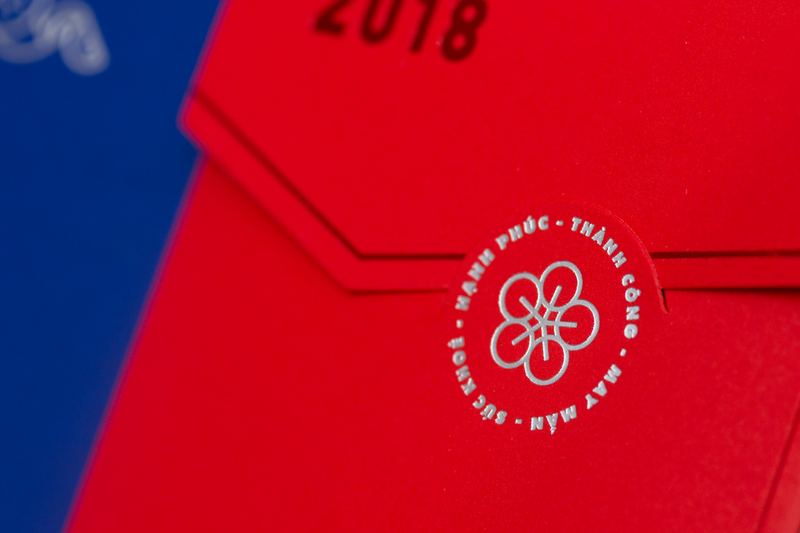 As tradition, “Lì Xì” is an important customs in Tết holiday when people give and receive Red-envelope from others with best wishes for a coming year. 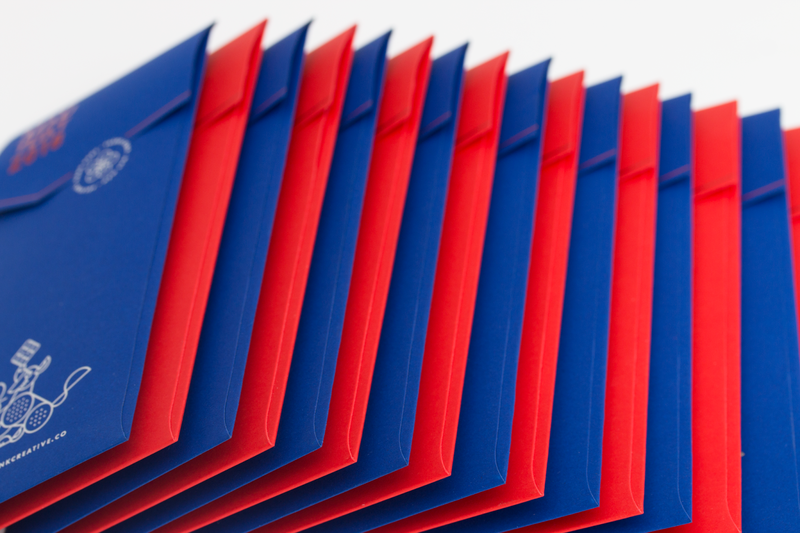 Red-envelope itself holds very special meaning. 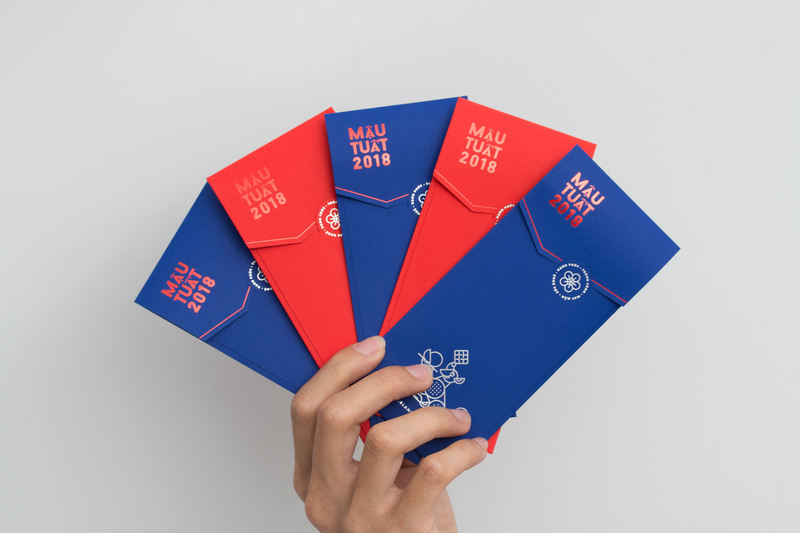 Red color represents hope and luck that brings happiness and health during the year to whom given. 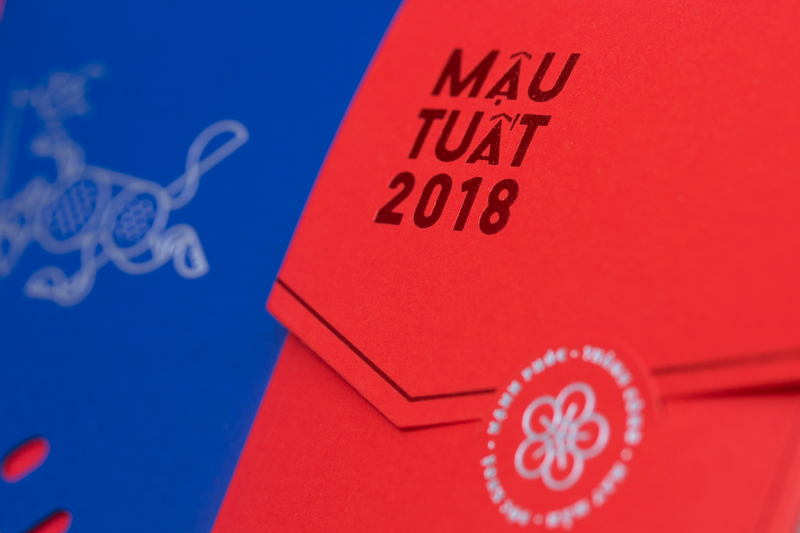 2018 is “Year of Dog” in Lunar calendar, named “Mậu Tuất” in Vietnamese. 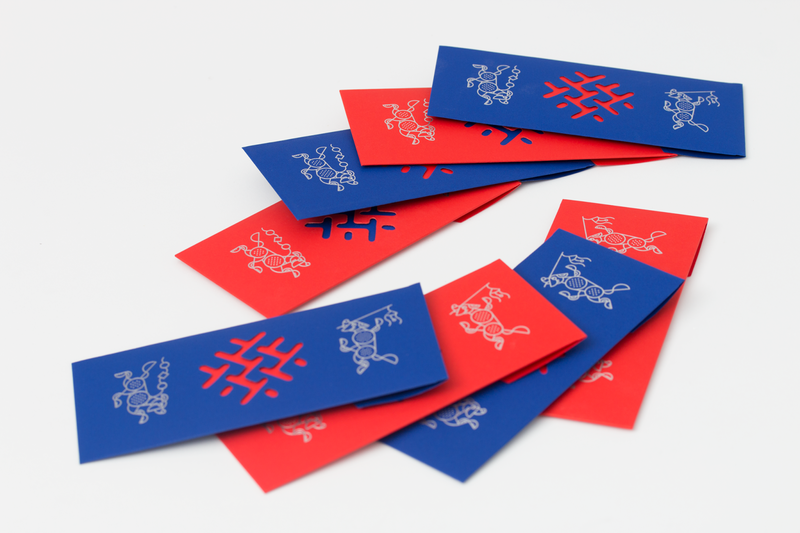 “Tuất” is dog that symbolizes trust, straight, sacrifice, also known as the most faithful animal that respected by human. 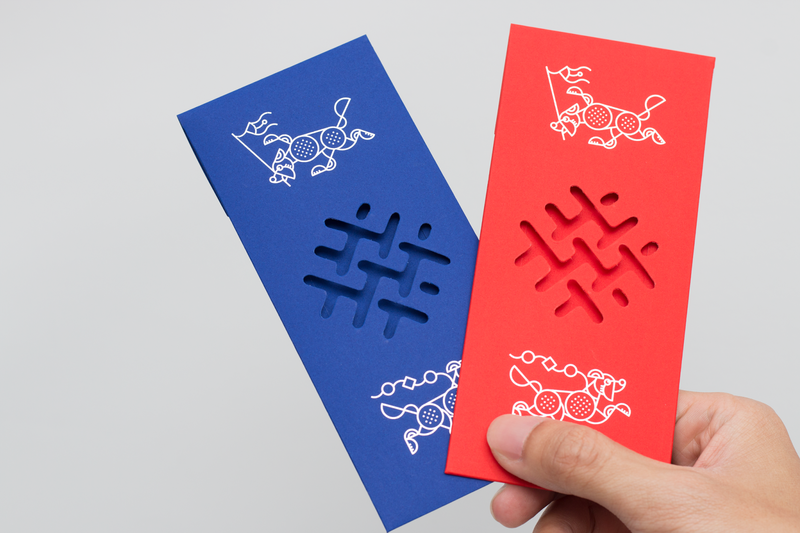 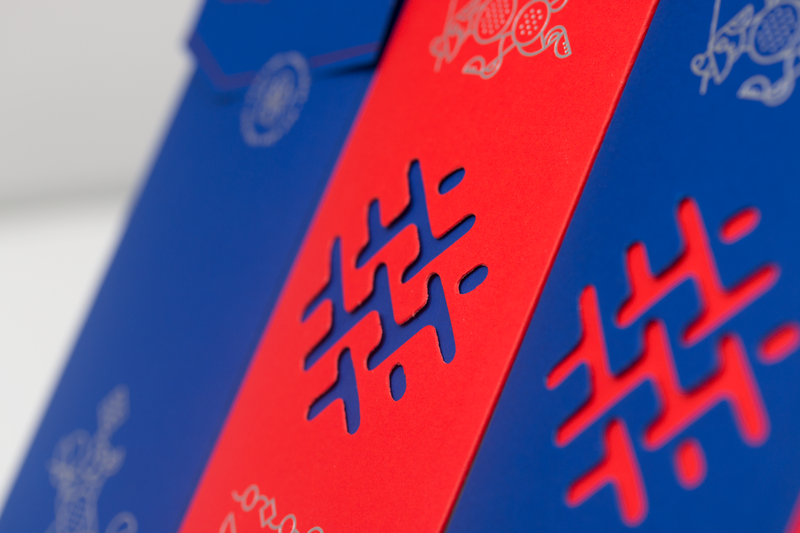 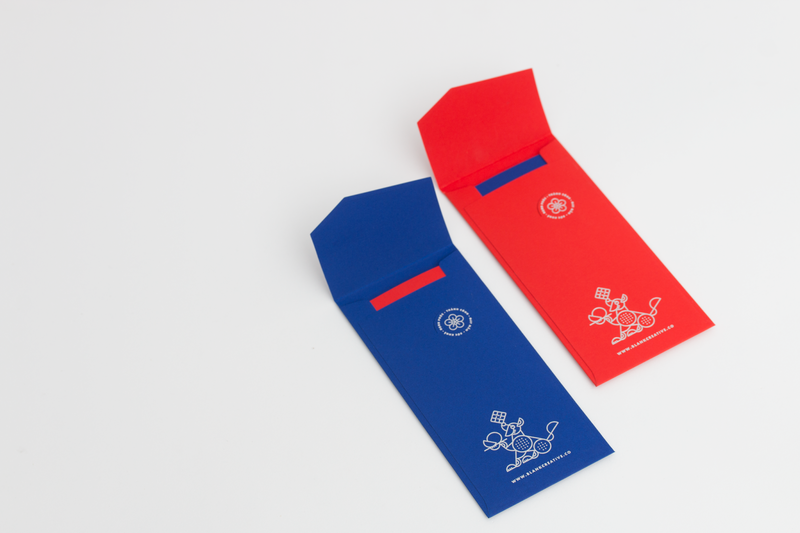 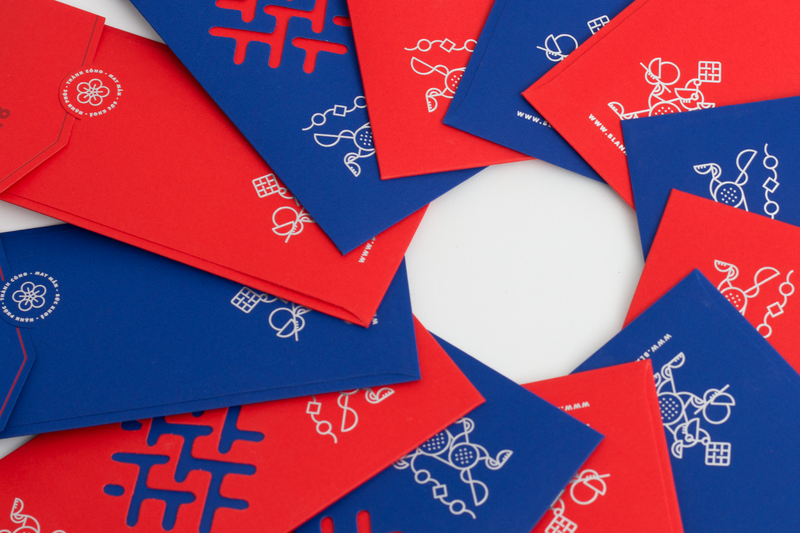 Here at blank, a Vietnam based creative lab in Ho Chi Minh city, we want to make Red-envelope different, by a new way, modern but traditional, luxury but friendly with distinctive form, limited printing technique and careful material selection. 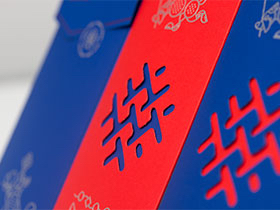 Silver, Red, Transparent foiling and pattern die-cut are proudly to be used. 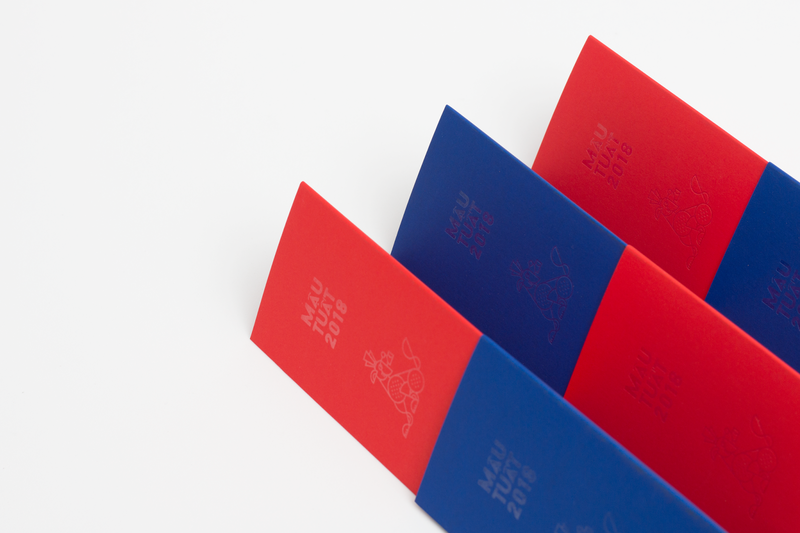 Color selection ending up with Red and Blue is to catch eyes, separate itself from the group of normality, to strongly brings joy to Tết. 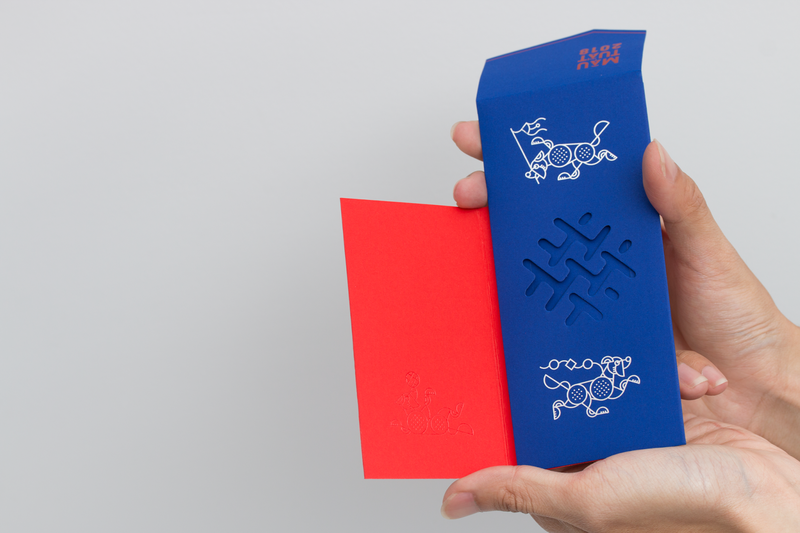 Key images - Five Dogs are illustrated by geometry style combined with perforation pattern inspired by “Bánh Chưng - bánh Dày” -Traditional Tet cake. 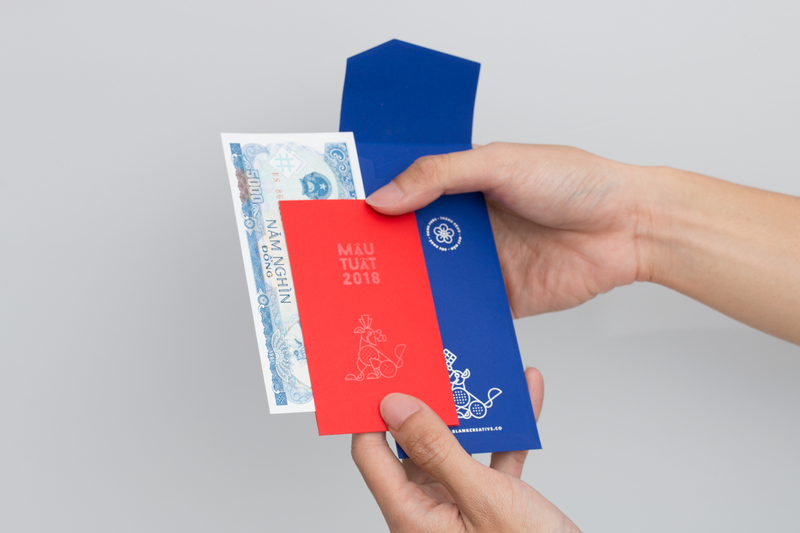 The image mixing of “Mai vang” and text-circle creates an interesting stamp sticking the Red-envelope cover. 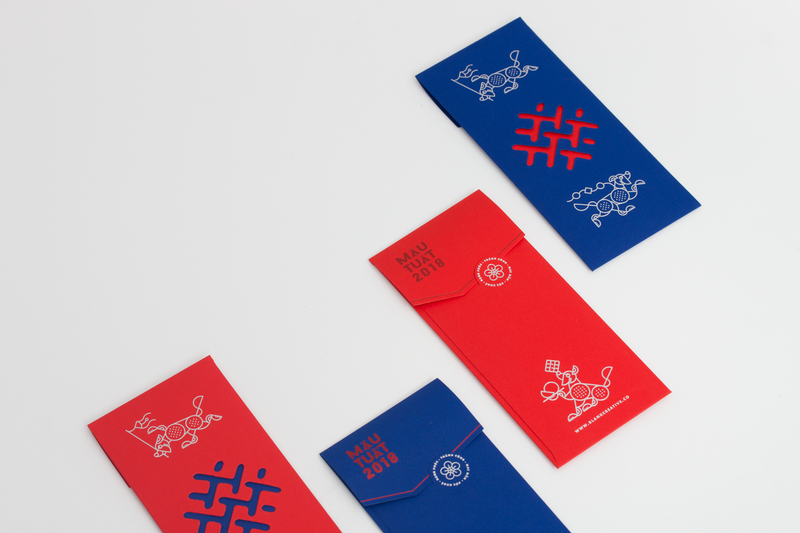 From small creative corner of blank, we deliver more than a red envelope, it’s a wish.